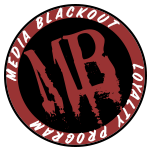 Media Blackout's DC Barrel Power Cable is a coaxial DC cable that plugs directly into professional power sources. If you’re not sure what barrel size is needed, measure the diameter of the center-pin of the connector; that is the inner diameter, or ID, which is the measurement used in the descriptions on this page. Here is a non-comprehensive list of common devices and DC barrel size. if your device isn’t listed, contact the device manufacturer for more information. 1.7mm – Zoom H4N, Q3, & R16, etc. 2.5mm – Most Blackmagic devices, Newer Decimator devices, TVLogic 056WP, etc.